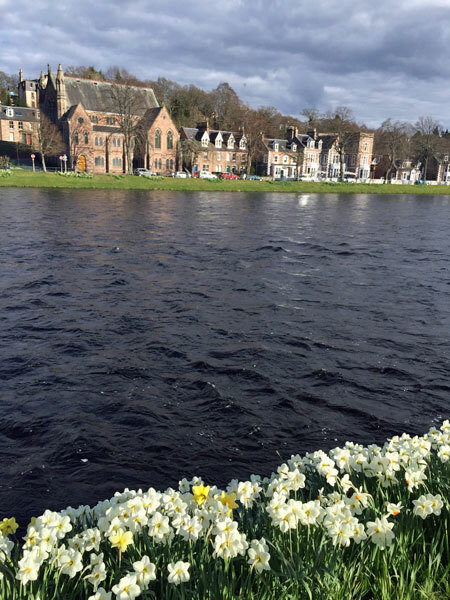 The Mothership was still in town for the first half of April and seemed to be digging the Highland life. She was inspired to borrow my library card and revisit the Outlander series of books. I remember her devouring them in the 90s, while I was busy sneaking off with her Danielle Steeles and Flowers In The Attic. 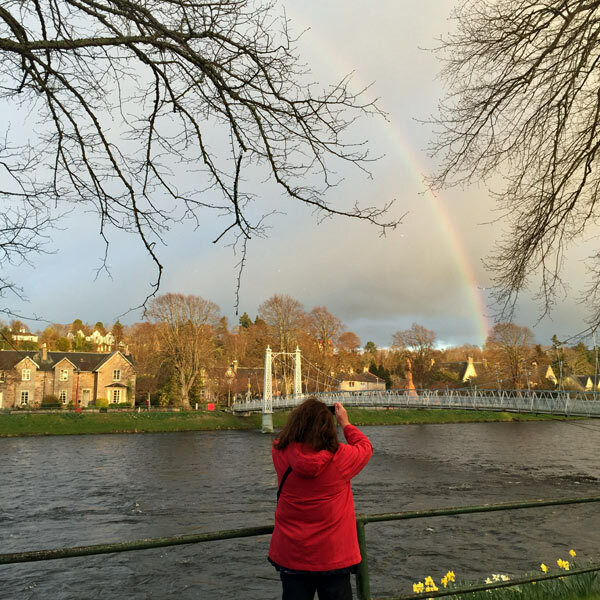 … although Diana Gabaldon says on her website she’d never been to Scotland before writing it. It’s a beautiful and tranquil place, regardless. The river nearby felt straight out of a romantic saga. 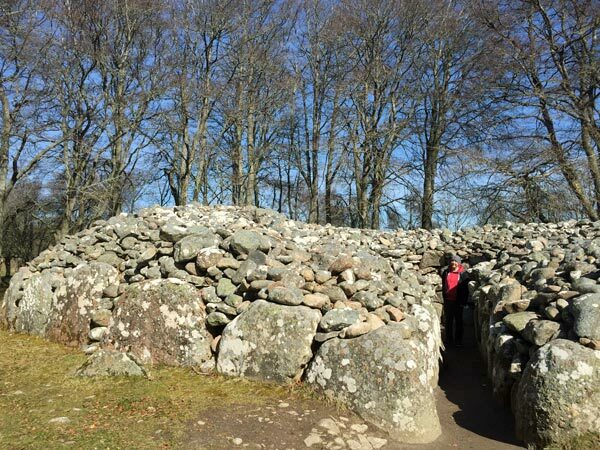 Gareth and I had previously visited Clava Cairns in 2006, when he likes to remind me I let rip with a big fart in front of an elderly tourist and completely ruined the serenity. I can’t remember the details but there must’ve been an earlier Full Scottish Breakfast to blame. All that history put Mum and I in the mood to check out the Outlander TV series. I was set to cringe, expecting tartan Jock McSporran cliches, but got reeled right in. When it comes down to it, I love a rollicking good story. A smart, feisty heroine with an outstanding complexion and aspirational curls helps too. Oh alright, a bloke prone to shedding his shirt is also useful. 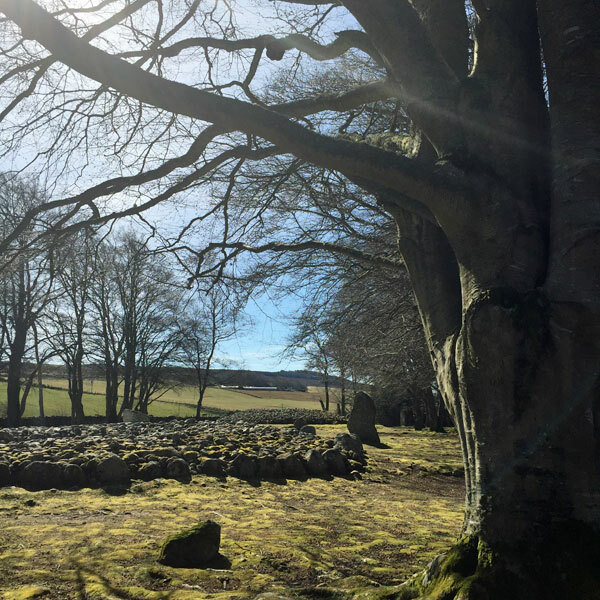 As well as Outlander immersion, there were more pub trips, a high tea and lots of walking and talking, trying to cram in years of everyday contact into a short visit. Plus rainbows. 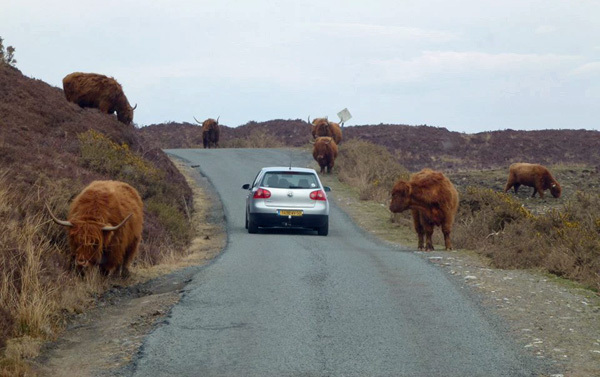 Mum also did a day trip to Skye… hairy coos ahoy! We did a quick jaunt south to Fife to hang out with the in-laws. 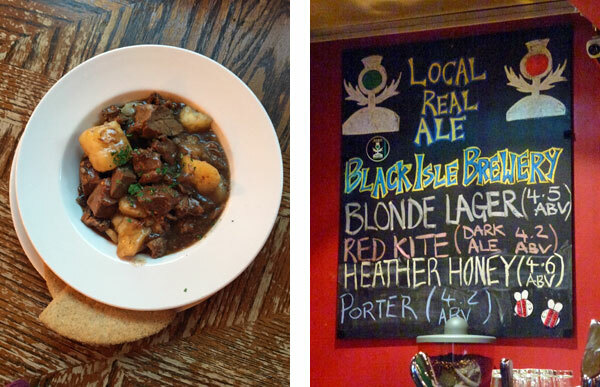 On Mum’s last night we went back to Hootananny as she’d become a fan of the lamb stovies and Black Isle Porter. I still love watching Gareth nervously watching people drink the beer he’s brewed. Speaking of beer, Marks & Spencer have managed to turn Marmite into an artisan product. 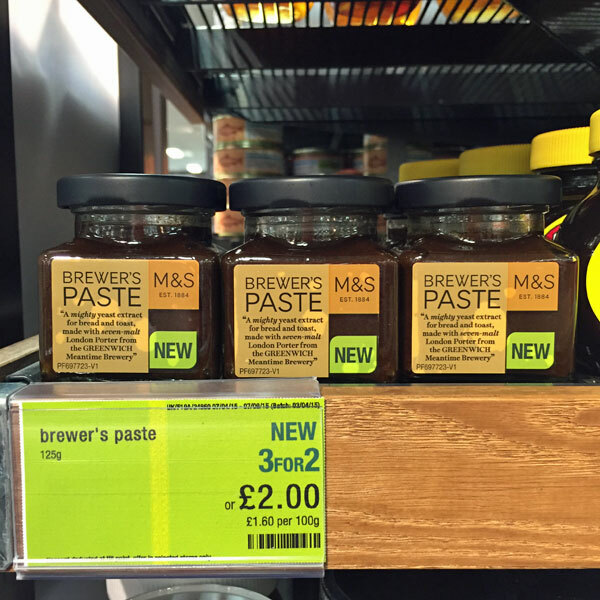 As one married to a brewer, the term “brewer’s paste” pure gives me the boak. Once The Mothership departed the rest of April was happily busy with new clients, getting hooked on this baked oatmeal (works well without the sugar; not that sugar is a crime), rediscovering MotoGP (it’s stopped being boring! ), becoming a devoted fan of Nosy Miss Cookie the highly judgemental cat on Instagram, and my first bike ride in years… ow ow ow my nethers! For the last eighteen months I’ve taken many walks along the Caledonian Canal, but only in one direction. 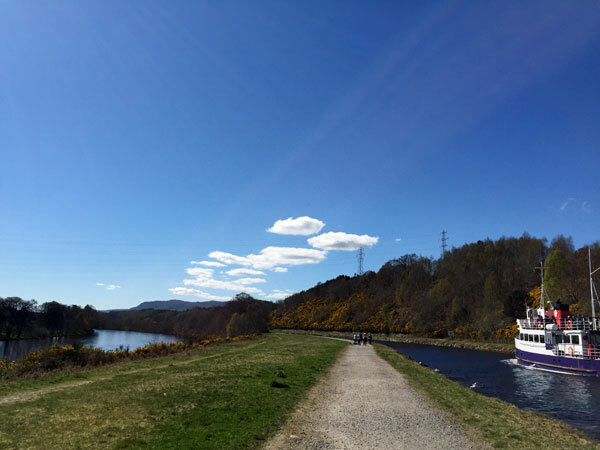 Total derr moment to realise if you go the other way you get the gorgeous sight of River Ness on the left and Caledonian Canal on the right. 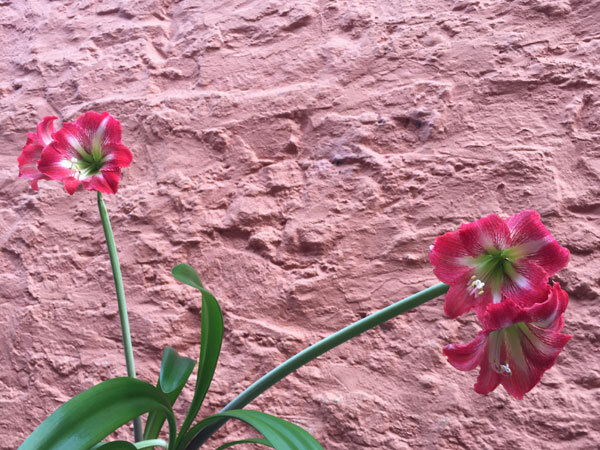 Meanwhile in the flat, the amaryllis was back in action – four flowers this year! The pollen count of this post is off the charts. Here is to ruining the serenity with a fart! 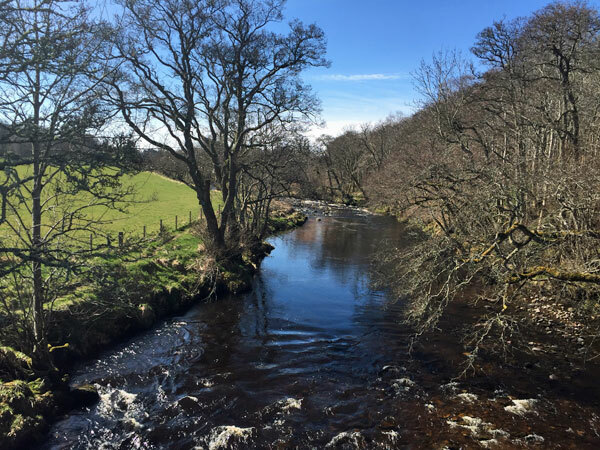 Gorgeous photos, Shauna, and what a beautiful part of the country you live in. Thanks for the Nosy Cat heads up and the baked oatmeal will show up on my table soon. Do you suppose they could be made into muffins and frozen? I make freeze and heat breakfasts in bulk for my elderly parents so they have a quick hearty start and I think they would love these. I have been reading you for years! Since before you met the mister! God bless. Wow thank you for reading all these years, Terri! 🙂 I think it would definitely be worth a try baking them as muffins. They reheat really well from the fridge – I’ve been dividing it into six portions and eating all week. Just a quick zap in the microwave then I add a blob of greek yogurt on top! Oh and Outlander made me think of you due to you having your own Jamie! My mum got into the outlander series years ago and a friend is currently into it and making me wonder if I need to find time for it. 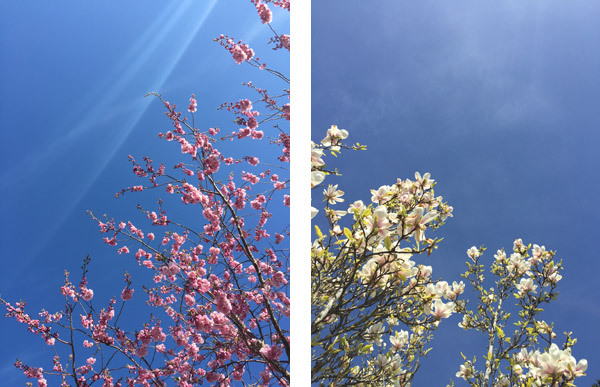 You sound like you have had a fun april – nothing like a bit of sunshine and a special visitor to bring some good cheer and make it worth getting out of the house! Superb. Look forward to it. Hej Shauna, I’ve been reading your blog for a while. Your very old posts about loosing weight was very inspiring for me and the result OMG! Nice to meet you Beata! 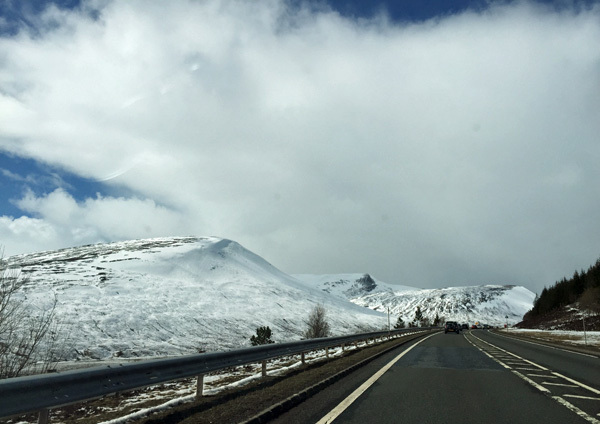 I hope you enjoy your holidays here in Scotland. What are you going to see this time? Shauna, we are going to start from Outer Hebrides, Castlebay exactly (last time we were there, it was raining badly for four days, without any break), then go north to Benbecula and Uist. Next will be Skye, Aran and we will see.. we have only two weeks. I’m realy looking forward to this trip..